Is your home looking tired and run down? Whether you’ve just invested in a dilapidated property, or whether you simply haven’t updated the home in a while; there are various things you can do to bring it back to life. No matter what your budget, you’ll be able to carry out at least one job to transform the look of the property. 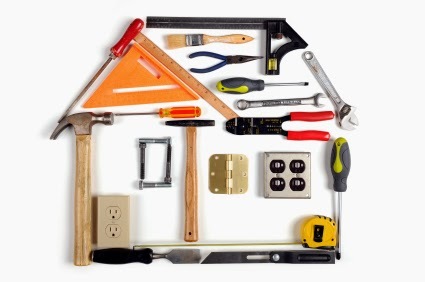 There’s no denying that repairing the structure of the home is often the most expensive task. If the property is really falling apart, you’ll need to spend a good amount of money on repairing it. However, some homes may only need a few structural repairs. Check for any cracks in the wall. If they are tiny you can likely get away with filling them in yourself, but if the cracks are quite large, make sure you get a professional in to take a look as they could make the building structurally unsafe. Repairing the windows is another small job you might want to focus on. Older homes tend to have draughty windows. Not only does this increase the amount of noise you hear from outside, but it also makes the home colder. Investing in sash window repair will help to make the home feel much warmer and cosier. The roof is also something you need to check over. Older buildings often suffer with a leaky roof. If moisture is getting into the home, all of your indoor renovations could become ruined pretty quickly. So it’s important to focus on the structural repairs before you move onto indoor renovation. There are so many ways to save money on the renovation of your home. Replacing cabinet doors or simply giving them a fresh lick of paint with a new door handle will help. You can also update the worktops. Marble and granite worktops tend to be popular these days and they are also really easy to clean. Glass splashbacks can help to add character, as well as a modern ambience to the kitchen. Creating your own soft furnishings will also help to give life to a run-down home. Opt for bright, cosy colours. Add sofa throws, cushion covers and light fabric curtains. You can also replace the flooring as this will make a huge difference to the look of the home. It can be difficult knowing where to start. Work out your budget before you decide what needs doing. It’s important to start on the structural repairs before you work on the cosmetics. The Grand National: Racing, Betting and Style!